Acclaimed aviator, fighter pilot, test pilot, airshow performer, Bob Hoover, has lead an amazing flying career. To celebrate his achievements, Kim Furst made an excellent film about him. 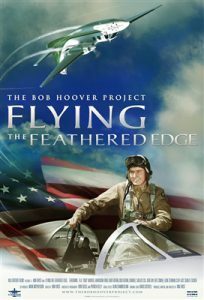 The film, Flying The Feathered Edge, has been shown around the US at various aviation events. 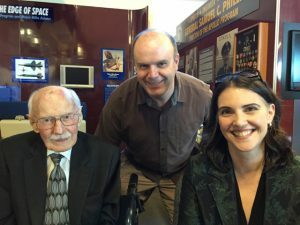 I attended a local showing, held at the Aerospace Museum of California, and got to meet Bob Hoover, and the film’s creator, Kim Furst. The presentation was great, Bob shared several stories of his aviation history, from his early beginnings, to escaping from a German PoW camp in a German plane, to flying the airshow routine with the engines off. The film is very well produced, and testament goes to the skill of Kim Furst and her ability to research and present a compelling story.